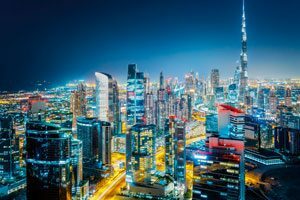 Dubai, the largest city in the United Arab Emirates, ranks as one of the leading world-class tourist, educational, entertainment and commercial destinations in the Gulf Region. With the social wealth brought about by its phenomenal success at the turn of the decade, Dubai has taken pride in its distinctions. It is often called many names: “Glittering City in the Middle East,” “City of Gold,” and the “Venice of the Middle East.” The city has noted itself for the affluent real estate projects and developments – from the internationally-famous 7-star Burj Al Arab, Palm Trilogy and Burj Khaleefa, the world’s tallest man-made structure which is set for inauguration in 2010. 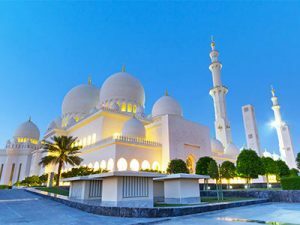 Dubai is also one of the seven emirates of the UAE (other being Abu Dhabi, Ajman, Fujairah, Ras Al Khaimah, Sharjah and Umm Al Quwain), each having a degree of independence and ruled by a Supreme Council of Rulers. The Council is constituted by the seven emirs, who appoint the prime minister and the cabinet. 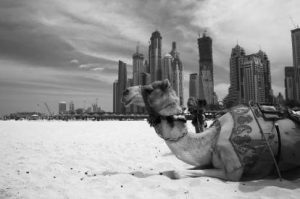 About four thousand years ago, there were small fishing villages that thrived along the Arabian Gulf exactly on the site where the present Dubai is. 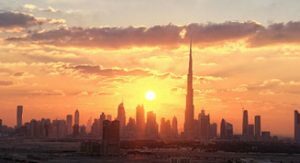 Historical records also mentioned about the town of “Dubai” from 1799, which was a dependent of the settlement of Abu Dhabi until 1833. The then leader of Dubai was a signatory of the British sponsored “General Treaty of Peace” of 1820. In 1833, the Al Maktoum dynasty of the Bani Yas tribe left the settlement of Abu Dhabi and seized the town of Dubai. This had put the newly independent emirate at war with the emirate of Abu Dhabi. An attempt by the Qawasim pirates to overrun Dubai was quelled. Dubai likewise became an important port for foreign traders, who settled in the town. Until the 1930s, Dubai was known for its pearl exports. International trade to and from Dubai flourished. In 1971, Mohammed bin Rashid Al Maktoum is the Prime Minister and Vice-President of the UAE, and the Emir of Dubai. He is the third son of Rashid bin Saeed Al Maktoum’s four sons. He became a respected global leader because of his bold vision in transforming Dubai, then barren land into another world-class city. His dream of transforming Dubai into an “Arab and Muslim success story. Dubai is an awesome haven for world-class leisure, recreation and shopping. Among its popular recreation and water parks are: Mushrif Park, Wild Wadi Park, Safa Park, Creekside Park, Global Village and many others. The most ambitious recreation and theme park, Dubailand is set to be completed between 2015 and 2018. Cinema theaters and concert halls have opened in Dubai, catering to diverse audiences of English, Arabic and Hindi films, and Broadway plays and music concerts. The various cinema theaters in Dubai are located in Bur Dubai, Metroplex, Al Bustan Center, Deira City Center, Hyatt Regency, Lamcy Plaza, Mall of Emirates, and other exciting parts of the metropolis. Several world’s famous singers, artists and bands have performed and left a lasting memory for their Dubai fans. Dubai residents and foreign guests enjoy the city’s nightlife. The city also takes pride in the several high-end clubs and restaurants offering a vibrant nightlife. 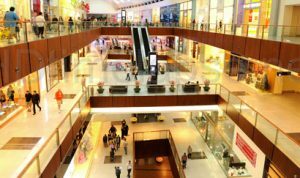 The world of leisure and shopping in Dubai begin from its state-of-art malls and shopping centers offering high-end and signature items for the fashionistas – from apparels to perfumery, and from luxury cars to the exquisite jewelry. The sprawling gold soukh in Deira has earned for Dubai the title “City of Gold” because of the popular and active trading of gold jewelry. There are also specialty markets in Dubai catering to buyers of dates and spices. Even more exciting and much-awaited in the city is the annual Dubai Shopping Festival during which bargain hunters and shopaholics enjoy their shopping at even more discounted rates. Dubai always offers an ideal summer with the sun shining in the UAE all year round. Between October and March are sunny days and cool nights. Summer takes place during the months of April to September, and when the mercury reaches at 50*C and high humidity levels. Most days are sunny throughout the year. Winters are cool and short with an average high of 23 °C (73 °F) and overnight lows of 14 °C (57 °F). Precipitation, however, has been increasing in the last few decades with accumulated rain reaching 150 mm (5.91 in) per year.